As architects we spend a lot of our time visiting older golf clubs, keen to renovate and upgrade their courses. More often than not these courses have been designed by some well known architect from the 20’s and 30’s. An architect that would have had their own very speciﬁc style. After many years of play and change this original style – particularly where bunker design is concerned – is frequently lost often replaced with a simple, easy to maintain design that does very little to present the course in the right light. Bunkers are often the most visually impressive of golf features. They are a different colour to their surrounds and as such can provide shape and scale to the course as well as providing the main challenge to the playing of the game. Over the years some bunkers have become redundant whilst others have lost their original shape and become impossible to maintain. 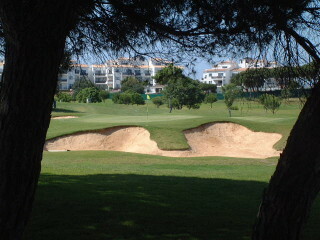 Work needs to be done to these bunkers – no question – both in terms of their position and their design. Sometimes these changes have already commenced with varying degrees of success. More often than not I ﬁnd that what was once an interesting and challenging feature has been replaced with a dull simple to maintain sand trap that does very little to improve either the presentation or playing of the course. In terms of design it is in some ways the easy way out, the easy solution. Bunkers of any kind need maintenance and the ability to maintain effectively will be important in the ﬁnal design, but bunkers need to create interest and they need to be impressive visually. On some of our older courses this means understanding the previous architects work and reestablishing their ideas, on others the modern architect may have a greater say in terms of design and style. Whatever the design issues the ﬁnal effect needs to be maintenance friendly, yet dramatic and effective.